Will Virtual Assistants Revolutionize Home Automation? Advancements in virtual-assistant technology will likely spur growth in home automation. Deciding which digital assistant works best for your smart-home use really depends on individual preference. Almost everyone with a smartphone is familiar with some of the capabilities of voice-controlled virtual assistants. Siri from Apple Inc. (NASDAQ:AAPL) was the first out of the gate and may be the most well known. Google Assistant from Alphabet, Inc. (NASDAQ:GOOGL)(NASDAQ:GOOG) is the search giant’s latest version of Google Now. Amazon.com, Inc.(NASDAQ:AMZN) gave us Alexa, though she is mostly limited to home speakers. 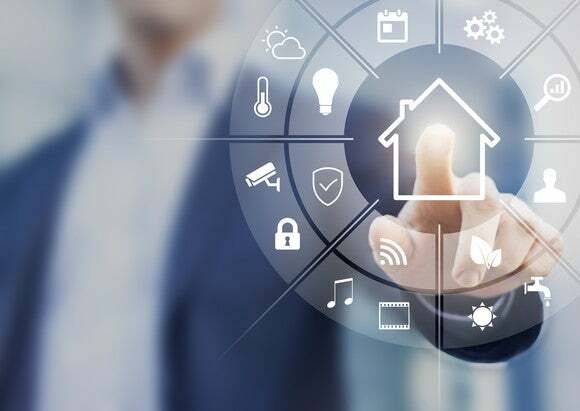 Until the release of these virtual helpers, home automation was primarily the dominion of expensive professionally installed systems that controlled everything, or managed services that provided monthly monitoring of things like alarm systems. Both are still available, but the revolution in the smart-home market is playing out in the individual components and smart devices that homeowners can purchase and control with these ubiquitous virtual assistants. One thing to be aware of: Each virtual assistant has advantages and drawbacks, with no clear winner — yet. VIRTUAL ASSISTANTS WILL DRIVE SMART-HOME ADOPTION. IMAGE SOURCE: GETTY IMAGES. Siri is the backbone for Apple’s HomeKit, the smartphone app that can be used to control a variety of smart-home products. This platform provides a variety of helpful features to simplify the process of adding devices and labeling “Favorites.” You can also organize the various components by “Rooms” and create “Scenes” that will control multiple devices with one command. Another feature is that you can automate certain functions to occur at a specific time of day, or when you leave home. The best feature of HomeKit, in typical Apple fashion, is its ease of operation — and it can be controlled by the app, or using voice control. A key point is that HomeKit-compatible devices have been reviewed and vetted by Apple, providing end-to-end security. This limits the number of available devices, but will likely prevent you from being hacked. On the downside, Apple lacks a home speaker system. Amazon’s Alexa powers the Echo, Echo Dot, and Tap smart-home speakers, but lacks a dedicated smartphone app. Amazon has integrated access to Alexa via its Amazon shopping app on the iPhone by tapping the microphone button in the app. Alexa’s advantage is in the number of things she can do — she accepts over 10,000 commands, called “skills,” though they require remembering the very specific wording of each command. 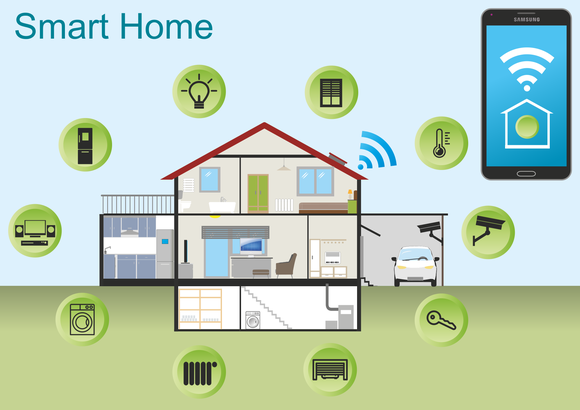 These skills address a variety of areas, not just the smart home, though the system integrates with dozens of smart-home devices that work directly with Alexa, and hundreds that operate using a variety of manufacturer-specific apps. Integrating many of these products requires a special If This Then That (IFTTT) device to connect them and to set up routines to control multiple components with a single command. There’s also no independent verification regarding device security. SMART HOMES POWERED BY VIRTUAL ASSISTANTS. IMAGE SOURCE: PIXABAY. Google recently introduced Home, a smart-home speaker similar to Amazon’s Echo. It’s powered by a Google Assistant, though not the same Assistant that operates on Google’s Android phones or the Allo messaging app — and they aren’t integrated as of this writing. The Assistant on Home works with components from four smart-home partners currently (Nest, Philips Hue, IFTTT, and SmartThings) — far fewer than Alexa. Google plans to add additional partners over time, though those currently available cover the most used home-automation components. Integrating multiple smart-home products through Home requires an IFTTT device to connect them to each other and set up routines, similar to Alexa. Also similar to Alexa, there’s no independent verification of device security, which varies by manufacturer. Home has Google search at its heart, so it understands detailed questions and requests rather than the specific skills commands required by Alexa. Some consumers will be drawn to Echo or Home by the novelty factor, or for the variety of other capabilities, and adding smart-home products will be an unintended result of ownership. Each system has advantages and downfalls regarding its home-automation capabilities. No one has yet developed a “killer app.” At this point, smart-home products seem to represent more of a hobby than something designed to produce significant revenue growth for any of these companies. However, the team of Alexa and Echo has an advantage for Amazon not available to Apple or Google. A recent analyst note by Jim Shaughnessy and Mark Mahaney of RBC Capital Markets reported that 17% of current users of the Echo family of products placed orders to Amazon.com with their devices, which could result in additional sales of $10 billion in both products and devices annually by 2020. While the hardware war is being waged, Amazon might enjoy a nice little boost on the e-commerce side. Suzanne Frey, an executive at Alphabet, is a member of The Motley Fool’s board of directors. Danny Vena owns shares of Alphabet (A shares), Amazon, and Apple. Danny Vena has the following options: long January 2018 $640 calls on Alphabet (C shares), short January 2018 $650 calls on Alphabet (C shares), long January 2018 $85 calls on Apple, and short January 2018 $90 calls on Apple. The Motley Fool owns shares of and recommends Alphabet (A shares), Alphabet (C shares), Amazon, and Apple. The Motley Fool has a disclosure policy.